Ask anyone. I’m not a complainer. Complaining is akin to worrying and neither strategies do any good. Jesus said it best (duh, of course He did–He’s God) when He said, “And which of you by worrying and add a single hour to his lifespan?” (Luke 12:25) It wasn’t a question to be answered, but a strong statement all by itself. Also, Dan Webster once said, “Complaining is the language of cowards.” I use that one on my kids from time to time but they’re not quite ready to fully appreciate the truth of it. I’ve stepped in it, haven’t I? Yep, I’ve put my size 12’s right in the middle of a pile of the issue our society is entrenched in. For all our “greener world” do-gooding, we have left behind the sense of common anything. For all of our connectedness, I’d defy you to find a time in history when we were less TRULY connected than we are today. For all of our intentions and ideals to be a better people, we just aren’t. And from where I sit, its getting worse. I once worked at Axelsson & Johnson’s Fish Market in Cape May, NJ. It’s still there. Go eat a crab cake sandwich. They’re delicious. While I was working there one day, I stood at the cutting table next to a co-worker named Jen. Jen and I were killing and gutting live lobsters as fast as our hands could move. There was a big order to fill, and we were the ones to get it done. While we worked, Jen asked me (without looking up from her lobster), “What if God is a lobster and we’re going to be in big trouble for killing all these lobsters?” Now, I consider myself an open-minded individual but I’ve heard it said that you can be so open-minded that your brains fall out. Personally, I prize truth over open-mindedness. I’m an extremely teachable person…unless you’re wrong. 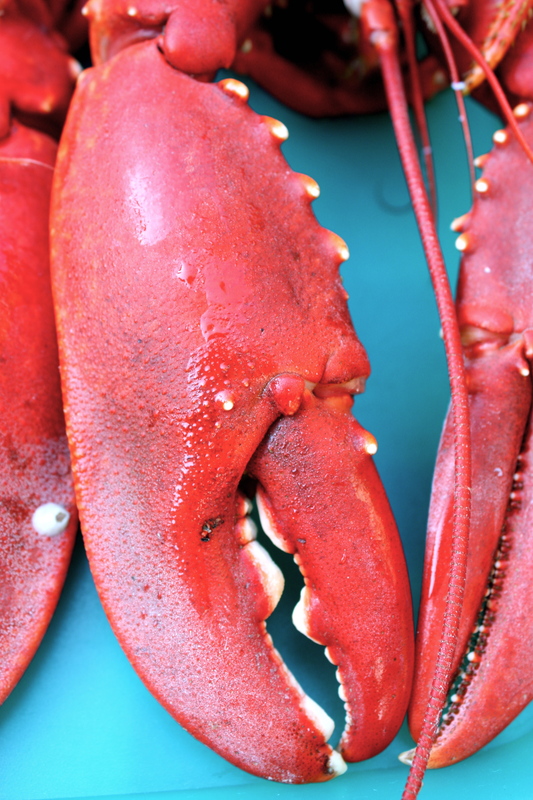 So, I quickly affirmed my belief that God is NOT a lobster, and shared that belief with Jen. I added that lobsters don’t have souls. They were created by God for His good pleasure and our good purpose; namely food. Jen showed neither acceptance or disdain for my stance on the whole lobster/God issue and it was honestly never brought up again. I tell you that story to point out that in my estimation, we’re forgetting that every person we see has a soul. And not just a soul, but an eternal soul. And not just an eternal soul, but a precious eternal soul that God (non-lobster that He is) cared/cares enough about to offer a pleasant eternity rather than an eternal punishment. But when we lose sight of the fact that everyone has a soul, we start treating others like obstacles, like objects, and like opportunities. In other words, we’re dehumanizing ourselves. We’re bit-by-bit subtracting from ourselves the very thing that causes us to be human in the search for the human experiences of happiness, peace, joy, hope, and love. There’s more to say on this (which I’d rather hear from you), but for now I’m going to get up from this computer, walk out the door, and look for souls to show love to. Join me. Yes, this is good! Narcissism coupled with apathy are very dangerous to the mission. It is amazing how even when you are trying to avoid these behaviors how you can look back over your day and see how they creeped in. Numbers are such a lame representation for souls. Thanks for the reminders. So true, and thanks for the kind words. Our enemy is certain crafty and cunning. He knows how to slip in often unnoticed, doesn’t he? But thank the Lord we can (with God’s help) see his movements and watch God thrwart his attempts before he can get a foot in the door!